I’m a massive fan of facial oils but facial waters – also known as toners or floral waters – come a definite second. They might seem frivolous and non-essential but let me tell you, they are more than that. 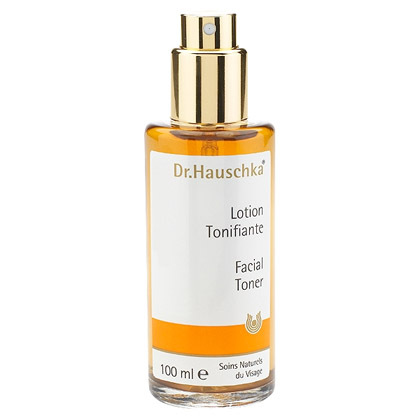 Dr. Hauschka Facial Toner currently has a top slot on my bedside table and it’s making me smile, a lot. Not only does it freshen, refresh and hydrate my skin – as and when I need it – it’s also great at enlivening my senses if I wake up groggy, go to bed late or feel hungover. Just one, two or three spritzes and suddenly everything feels ok again! This small 30ml bottle comes part of a travel cleansing kit but it’s the only item that stole my attention. As well as being a natural, plant-based herbal water, the mist is light and perfectly even as it sprays from the nozzle into the air – that’s actually the secret key to a great facial spritz: too sharp and it’s like a squirt in the eye, too weak and it just tickles the face. It has to spray widely and evenly. Choose your toner or floral water wisely and you can find one that hydrates skin, soothes dryness, calms irritation and even balance oily skin. 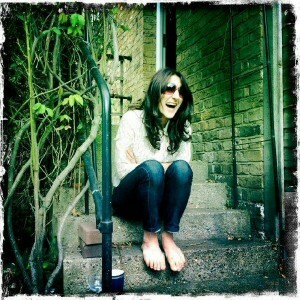 I usually have several on the go – on my desk at work, in travel bags and always on a flight. And if I’m not using it for a genuine beauty moment, it’s simply lovely to punctuate the air during an otherwise mundane moment.